A minor fire broke out in the transformer of a coach of the railways' ambitious Vande Bharat Express, sources said Thursday, making it the latest in a series of incidents plaguing India's fastest train. 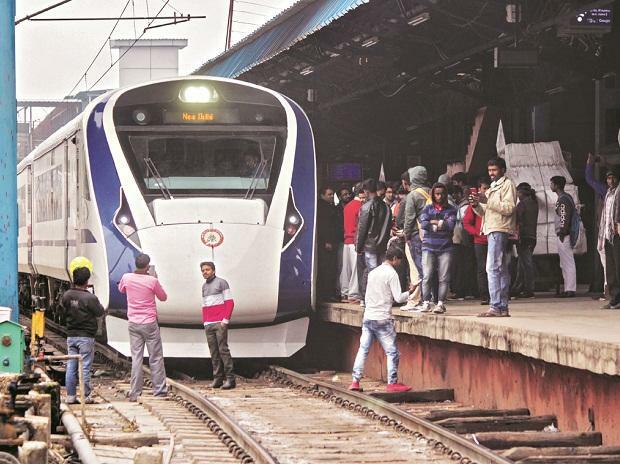 Even before its first commercial run on February 15, the train's windows were damaged by stones thrown at it on more than one occasion during its trial runs. On its first commercial run, it developed snags and broke down twice. Thereon it again faced stone pelting and ran over cattle more than once. "A minor incident had occurred on board Vande Bharat Express yesterday. Smoke was reported," a railway spokesperson said. On Wednesday during its return journey to Delhi, a signal went off at 7.04 pm after the train reached Kanpur Central railway station. A minor fire was detected in the transformer of C-7 coach, the temperature of which was found to be 90 degrees centigrade, sources said. "It was after extinguishing the fire and isolating the transformer by the maintenance staff that the train was allowed to leave," said a source. It was stranded at Kanpur station for around 25 minutes. Barely ten minutes later, it stopped again at 7.39 pm at Govindpuri railway station after smoke was reported from the same coach. "The maintenance staff again checked and found that the smoke was of the powder of the fire extinguisher that has been used to extinguish fire at Kanpur," the source said. This time the temperature of the transformer was found to be 45 degrees centigrade. The train left the station at 7.45 pm.